Born and raised in Amsterdam, Paul took an intuitive interest in the global music scene before developing an enduring passion for the sax in world music. He had a long involvement with African bands Afro Oz and Musiki Manjaro, with whom he recorded two albums and toured Asia and Australia. He has also collaborated with Latin band Sandungueros and Flamenco artists Kieren Rey and Nella Randone. Founding Jadida with Phil Gunter was a turning point for Paul as it allowed him to experiment with fusing music genres, an ideology of universality that was important to him. Paul also plays saxophones with Afro Mandinko. 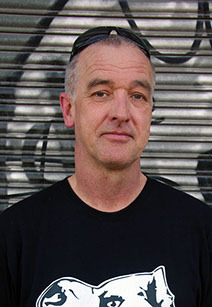 He recorded an album with them and performed at Womadelaide, Port Fairy Folk Festival, Canberra Folk Festival, Apollo Bay Music Festival, at Federation Square for New Year’s Eve, Moomba and many other festivals. 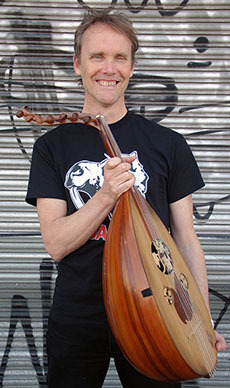 Oud virtuoso Phil Gunter, who has a masters degree in music from Monash University and degrees from the Victorian College of the Arts, performs in various groups. He has performed several times at the Melbourne Recital Centre in Southbank with Nefes Ensemble, a Turkish classical music group, and Latitude 37. He has also performed at BMW Edge in Federation Square with the Kudsi Erguner Ensemble at the 2008 Melbourne International Arts Festival, at the Adelaide Festival with the Nefes Ensemble, at the National Folk Festival with Yalla and the Sanctuary Ensemble, and at various other festivals including the Port Fairy Folk Festival. Gunter has worked with oud masters overseas over the years. He has 12 albums to his name, including a solo oud and percussion album. Singapore-bred Beulah combines her exquisite voice and commanding stage presence with her African and belly-dance skills in Jadida. She has performed as a dancer/ singer in African troupes Blue Turban and Wulaba, and has sung with jazz groups such as Cookin’ on 3 Burners and The Pearly Shells. Harbouring a love for jazz, blues and soul music for some time, Beulah began her own band in 2004 Inspired by the music of Billie Holiday, Aretha Franklin, Erykah Badu, India Arie and many others, Beulah and her band have created a sound that not only pays homage to these music greats but also reflects her band’s unique talent and charisma. Phil McGowan has played in various musical projects in Scotland and Australia. This includes playing and composing with multi-instrumentalist singer-songwriter and award-winner Benny Tetteh-Lartey in Edinburgh, and twin-bass dirge rock band The Scapegoat in Melbourne. 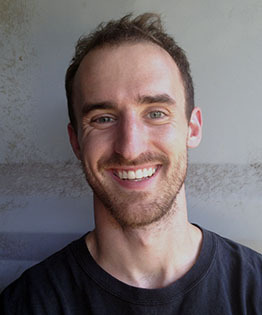 Phil McGowan has played bass, electric and acoustic guitars in rock and world-tinged pop music in the musical projects he has worked on. He has played at the Edinburgh Festival, throughout the central belt of Scotland, a concert at the Scottish Human Rights Commission and in various Melbourne venues. Jerome has been playing drums since he was 10. He recorded three albums as a teenager with Tim Metcalfe in punk/rock band Epin-Effry who were featured as Triple M’s “unsigned find” at age 15. They also appeared on a radio interview with Good Charlotte. He has since broadened his music taste through travel and has lived for extended periods in Chile, Amsterdam and studied percussion in Cuba. 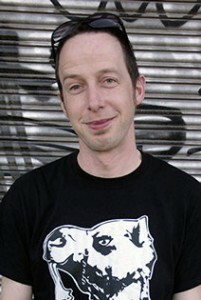 He has also played in many different experimental and improvisational music projects including Adnan and the Whale. He has helped compose and record several albums that have been played extensively on Triple R and PBS. 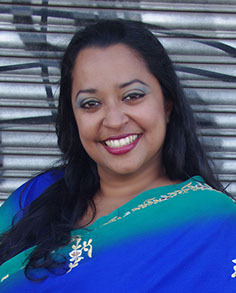 Josie has performed and taught Middle Eastern dance for 20 years. She keeps her dance fresh by attending master classes with international masters Hozzam Ramsy, Yasmina and Laziza from Cairo. More recently, she achieved a gold medal in Latin American dance under the instruction of Rami Kaleef at Vogue Dance Studio, Melbourne. In 2004, Josie was invited to be a member of the Belyssa Academy of Danse Orientale panel to judge the accreditations of Melbourne teachers. Josie Palermo, who has a doctorate in women’s studies, has also directed many shows and theatre productions in collaboration with Jadida, as director of the dance group Fiery Angels, and more recently as co-director with Melissa Cristina and Elena Afanasew. Her credits include film and television: Sale of the Century (Channel 9), Red Light in Full Flight (SBS), Denise Show (Channel 7) and Ocean Girl (Jonathon Shift Productions), Rove Live (Channel 9), Jimmy Christo music video, and several festivals including the Melbourne International Arts Festival and the Melbourne Food and Wine Festival.